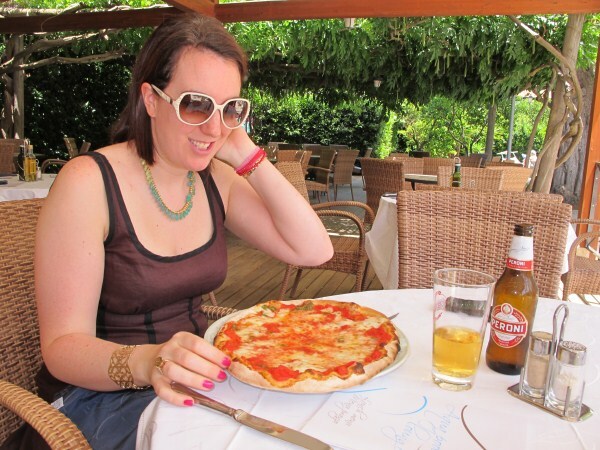 Eating an authentic Italian pizza. I LOVE pizza and am keen to try the real thing! Chillaxing by the pool. I am so looking forward to a proper chill out basking in the sun. Exploring the local town. I can't wait to hang out where the locals do and sample the Italian lifestyle. A bit of shopping and checking out the Italian leathers. I've been on the lookout for a nice leather jacket for years and never found the perfect fit/style. All the other Italian food! I think that despite my recent healthy turnaround, you all know how much I love my food! Wearing all my summer outfits and accessories. I have loved planning my style for this holiday with a few new pieces but a few older ones that now fit again! I can't wait to share them all on the blog. So far I am not in the least bit disappointed! As soon as we checked in to our hotel (which is lovely by the way, but more on that when I return) we headed to the pool bar for lunch as it was a long time since our early morning bacon roll at the airport! Of course, I had to have a pizza and it was cooked in their outside stone wood-burning oven and was amazing!!! It looks yummy. So glad you are having fun.